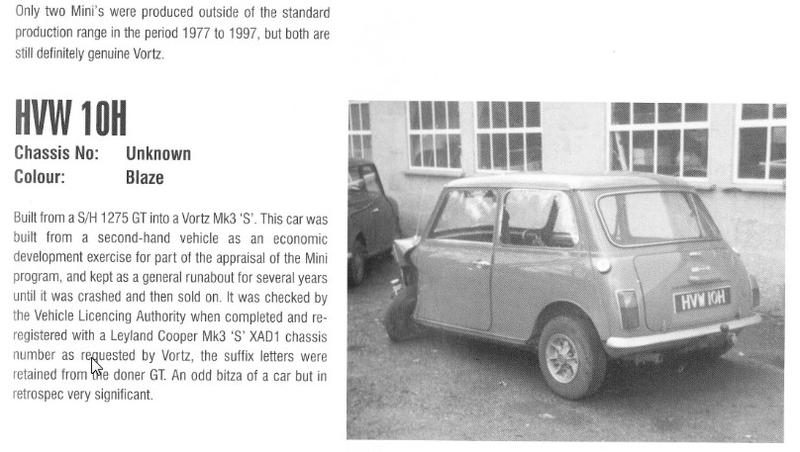 I knew other owners/enthusiasts who got there Mini's upgraded to Cooper or S on the log book by the DVLA in the 1970's. If you could prove your modified spec was equivalent to factory spec and wrote the right letters they more or less put what you wanted on the V5 description by return. Most I knew of were done for competition entry purposes as there was not much extra value in a road going secondhand Cooper to go to the bother of getting the V5 changed for financial gain.......unlike today! Sometimes back then it paid for younger owners to get their Cooper log book downgraded by the DVLA to describe a standard Mini non-Cooper spec with 998/848cc to get cheaper insurance ....and cheaper insurance quotes was also one of the reasons BL eventually introduced the 1275GT to replace the Cooper. Is it the same shell as what Nick put it in to or another re-shell?